RW2019 is a curated, 3-day event for digital entrepreneurs. 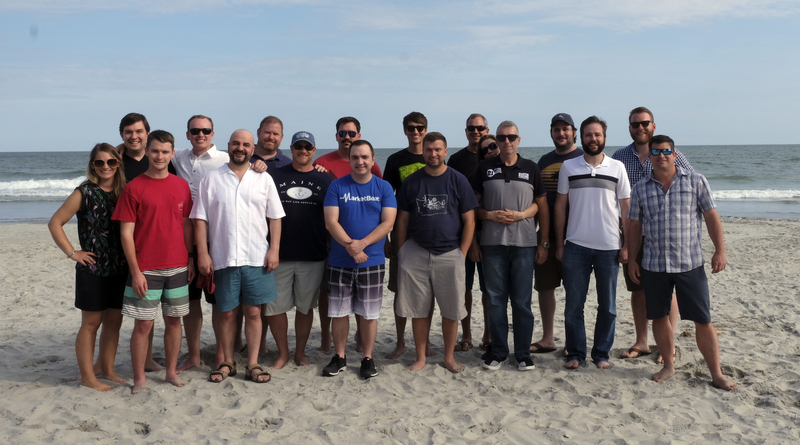 Rhodium Weekend was started as a three-day workshop on building, buying, growing and selling online businesses. It has since grown to be so much more, covering all aspects of life as a digital entrepreneur. You’ll experience an intimate gathering of 125 world-class entrepreneurs with online businesses valued at 6-to-8 figures. All attendees are curated through an application process to ensure the community is filled with smart, driven members who are willing to pay-it-forward with their own expertise. The result is a 3-day event filled with keynotes, panels, lively discussions over meals, impromptu round-tables to share ideas, and maybe some late-night discussions guaranteed to fix everything. Since everyone here is an online business owner, every conversation is meaningful. The sessions are short but powerful, and you’ll regularly see small groups form during the breaks to go deeper on ideas discussed from the stage. There’s so much learning and sharing of knowledge at this event. It’s become the only event of the year I never miss. It can be difficult and lonely running online businesses. Which is why our community and events are focused on bringing people together and enabling them to share their expertise. Watch the video to hear what our community says about Rhodium Weekend. These aren’t sponsors. The owners of these brands have been a part of Rhodium events. Each year, the connections and relationships formed over Rhodium Weekend go on to make big changes in the lives and businesses of everyone who comes. In our first several years of hosting this event, we tracked online businesses which were either bought, sold, partnered in, or received funding as a result of Rhodium Weekend. However, we lost track once it hit the $100,000,000 mark. That’s $100,000,000+ in deals from simply getting the right people in the right room and engineering the right environment. Don’t miss out on being in the room this year. Rhodium Weekend is an event for online Entrepreneurs who own 6- to 8-figure businesses, and for buyers, sellers, and investors of those businesses. If you’re not a member of our community, apply now. We use both structured and un-structured time so each person can learn, network, and share in the way that works best for them. We keep our on-stage presentations to short, actionable talks by people speaking directly from experience. These are not canned talks given by people living on the conference circuit, but instead deep dives by highly successful business owners talking about their primary area of expertise. They showcase their techniques, strategies, and tips so you can learn from their experience. Small-group discussions ranging in topic from tax law to mistakes made after having your business acquired. We allow our attendees to submit topics and attendees vote on them. This makes for dynamic, group-led sessions where conversations can follow the questions and expertise of the group. Multiple gaps between presentations and meals allow plenty of networking time, enabling attendees to follow up with speakers or friends. We regularly see people doing quick, impromptu tear-downs of websites or cracking open laptops so one attendee can help another troubleshoot a tracking pixel. Lunch is provided each day on-site so attendees can maximize their time together. We also organize no-host dinners to ensure every attendee has a chance to eat with a group of like-minded business owners. There are no cliques here. Everyone is anxious to meet each other as the caliber of attendee is so consistently high. The agenda below is a high-level overview showing how we create the perfect mix of presentations, facilitated peer-to-peer learning, unstructured networking time and unforgettable meals and experiences. Pre-plan small group dinners and connect with other attendees. Dinners are organized by matching attendees with similar business models and similar business size. The opening sessions will include an opening keynote from the Founder of Rhodium, Chris Yates, and two case studies on the topic of acquiring and/or investing in online businesses. See example topics from 2018. The afternoon sessions will kick off with small group roundtable discussions. Then we’ll continue to a keynote from a guest expert and a couple case studies on the topic of improving monetization, traffic, and conversions. See example topics from 2018. The morning sessions will include a keynote from a guest expert and two case studies on the topic of automating and scaling online businesses. See example topics from 2018. The afternoon sessions will kick off with small group roundtable discussions. Then we’ll continue to a keynote from a guest expert and a case study on the topic of going passive and/or exiting your business. See example topics from 2018. Informal small group implementation time. 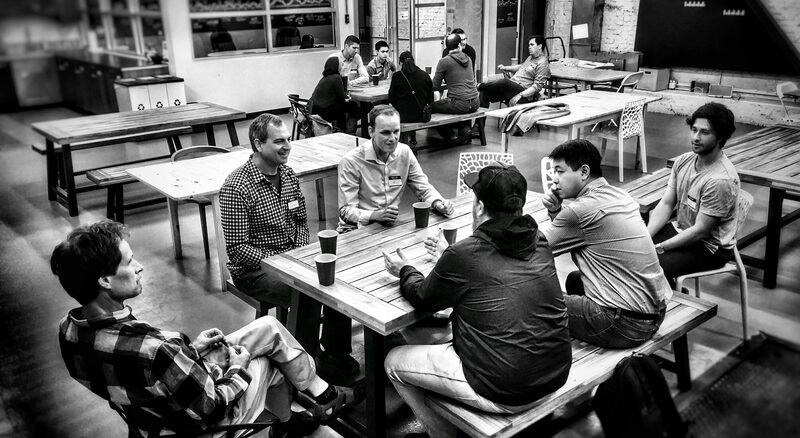 Debrief the event, start implementing things you learned, and develop your go-forward plan. Rhodium doesn’t end after the weekend in Vegas. You’ll have the option to participate in multiple mastermind groups, regular local meetups, mastermind retreats, the online Facebook group, #slack groups and more. Curious what types of content is shared? Here’s a few sessions, keynotes, and roundtables from last year’s event. Either ask a current member to refer you or fill out the application form on this site. After completing the form, you'll have the chance to have a quick one-on-one call with the founder, Chris Yates, to see if there's a fit on both sides. The event will be hosted at a resort on the Las Vegas strip. The actual venue is only revealed to people who have been invited to attend. What is your guarantee, cancellation and money back policy? Our policy is simple. You can have your money back any time for any reason until the end of the current year’s event. This kind of policy is extremely uncommon in the event business. We’re in this for long-term relationships, not a few hundred dollars. 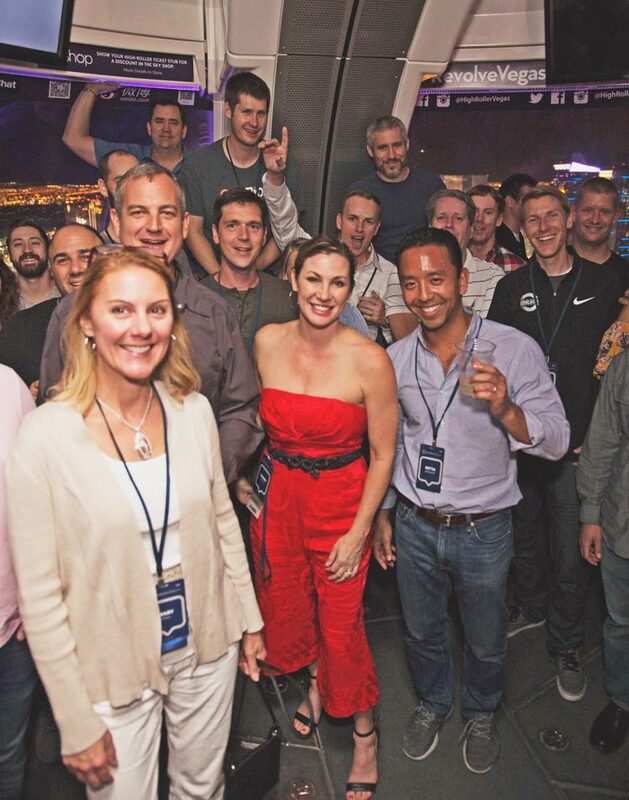 The Rhodium Mastermind members are some of our most engaged members who want to meet more frequently than once a year in Vegas. We meet monthly through an online meeting system facilitated by Chris Yates. We follow a specific mastermind format including “hot seats” which allows the focus to be on solving one or more member’s specific challenges. Membership to the mastermind is optional and only available to those attending an event. What are the ticket pricing options? Other exclusive communities and events for high-level entrepreneurs often charge $10,000 to $25,000 per year to be a member. Rhodium Weekend tickets are $999 each and include an event ticket and access to our Facebook group and member rolodex for 6 months following the event. Sorry, we don’t do discounts. If a $999 purchase puts you in a difficult financial position, we recommend against applying or attending. Workshops are half day mini-events during the afternoon before our evening welcome reception. They are more about doing and less about teaching. Attendees who have purchased tickets will have the option to add a workshop on to their passes. Each workshop is hosted and priced separately. You can learn more about workshops here. Will there be a live stream or recording? The real value of the event happens when the camera is not on. We don’t make a live stream available. We may release limited recordings in special circumstances, primarily for alumni and active members. Will I have to sit through a bunch of pitches? We don’t allow speakers to pitch from stage. The Rhodium team may share an invitation to join the mastermind or sign up for future events. This is opt-in, with your permission requested first and we will not force you to sit through anything. Can I bring my business partner or significant other? To be a part of the community and attend the core sessions, every attendee, including business partners must go through the same vetting process and purchase their own tickets. If you’d like to bring a guest to non-hosted meals or activities outside of the core sessions, you are welcome to do so. 60% of the speakers and topics are selected from registered attendees through a voting process. After you apply and are invited, you’ll get access to the full agenda including speakers and exact speaking topics or the have the option to submit your own topics. The core themes of the event are building, acquiring, monetizing, scaling, and exiting portfolios of online businesses. Can I join the community without attending the event? Yes, but we don’t guarantee you’ll get to keep a spot. The size of the community is purposefully kept small and we regularly remove inactive members. We encourage you to join, but we expect you to be engaged and helpful. Apply now while spots are still available. 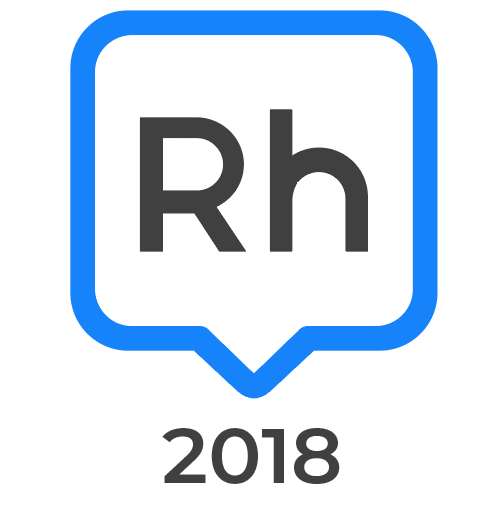 Due to the more intimate nature of this event and limited availability of tickets, not everyone will get an invitation to attend this year’s Rhodium Weekend event. However, we encourage everyone to apply.